Strut with confidence in these Ankle Boots With Contrast Belt by Franco Ceccato. 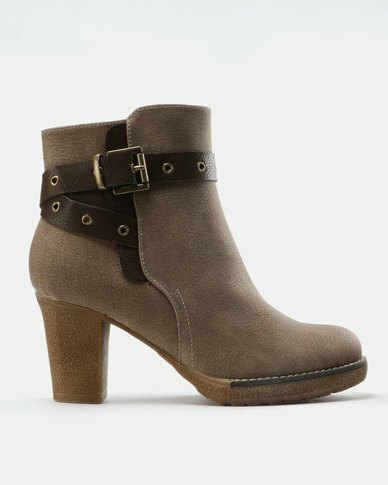 In a flattering taupe hue, these boots boast a contrasting belt buckle with gold detailing. The block heel provides elevation without compromising on comfort. Wear yours with your favourite denims and chunky knit.